Coaching New Canadians in Soft Skills: How do you do it? 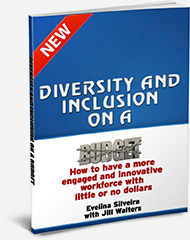 Evelina Silveira, President, Diversity at Work in London Inc. I am pleased to announce an upcoming workshop that I will be doing in London, Ontario on May 29th. It combines what I have learned over the years in: international education, coaching and mentoring New Canadians in the workplace and working directly with employers regarding their integration. If you are interested in learning how to optimize and retain immigrant talent, this workshop is for you. If you cannot make the workshop in London, we are happy to deliver it to your workplace or community. We travel anywhere, just ask. 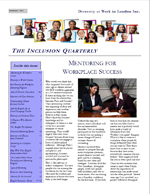 For full details, visit our website at http://www.yourdiversityatwork.com/workshops/.